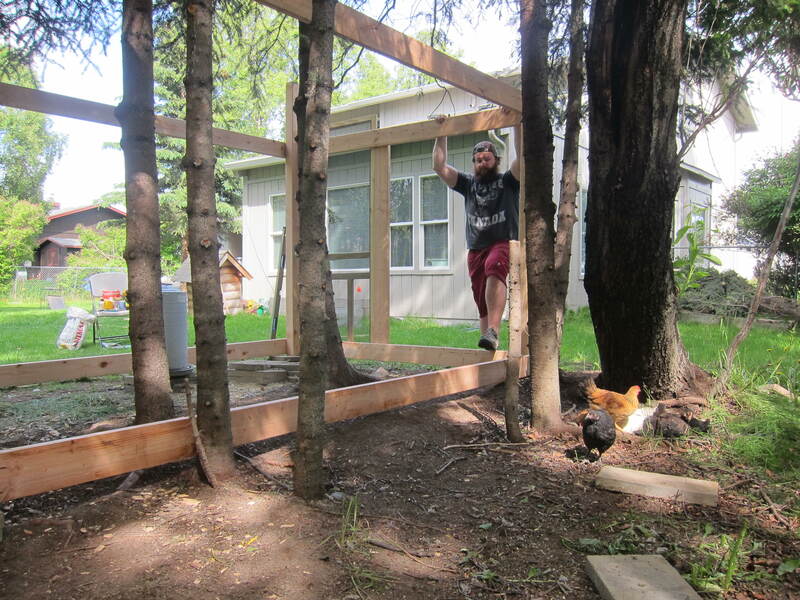 Since Brian tackled building the coop in part 1, we’ve also built the run area. Good-bye old rusty fence with the plastic doggie door (which worked pretty well, btw) – we’re on our way to creating the chicken Taj Mahal. You can see the outline of the previous temporary run. 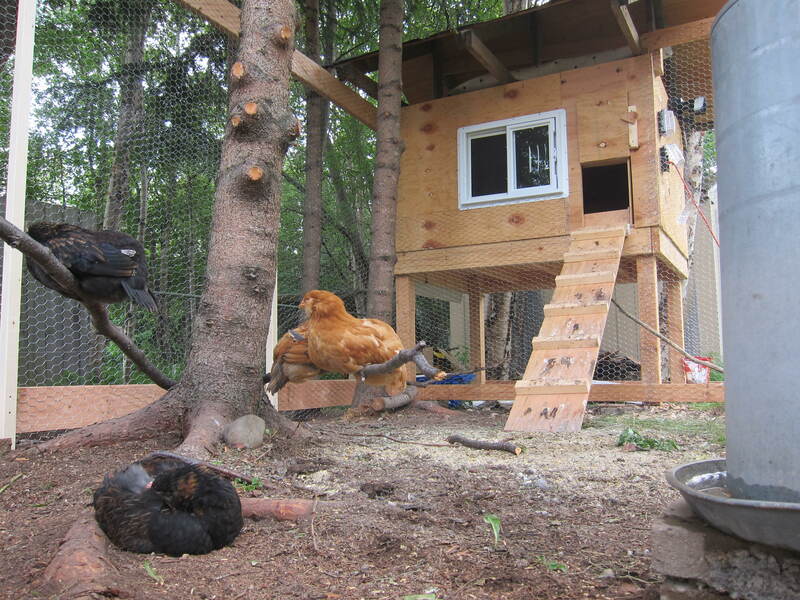 These lucky chickens are seriously upgrading their run square footage. 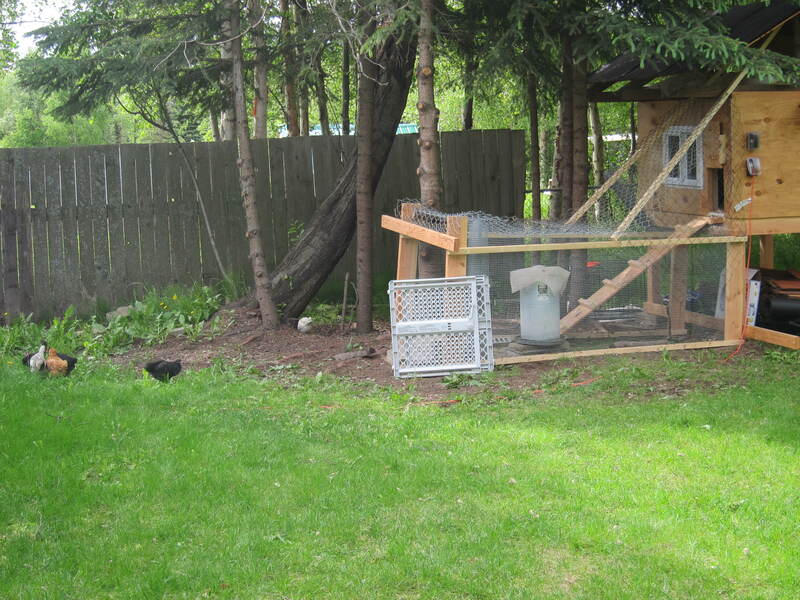 While their coop and run were under construction for the day, the chickens explored around the yard. Their fave spot – under the pine trees to take dirt baths. Here’s a video of them scratching and flapping around taking their dirt bath. Kipper interrupts them toward the end. 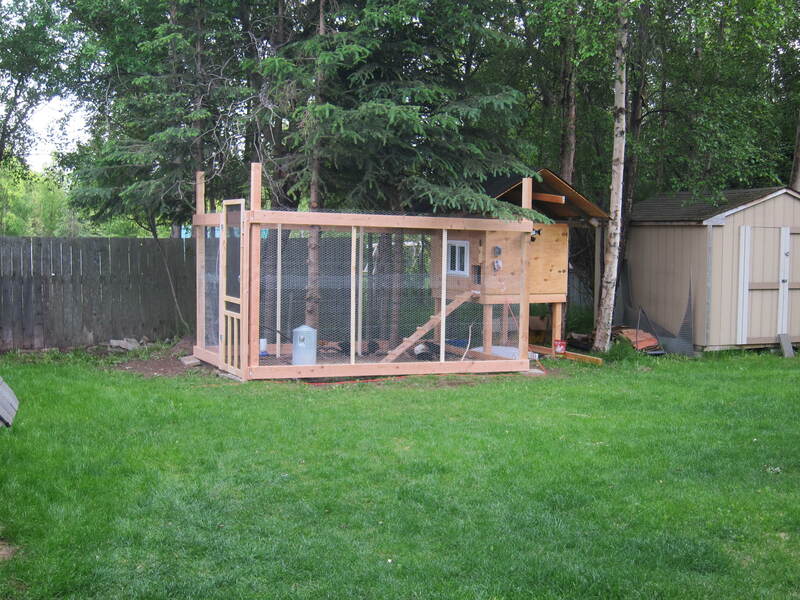 Each time we stepped away from the run area frame, the chickens hopped in to explore. They’re so curious what we’re doing to their house! And here it is – the brand clucking new chicken run area! 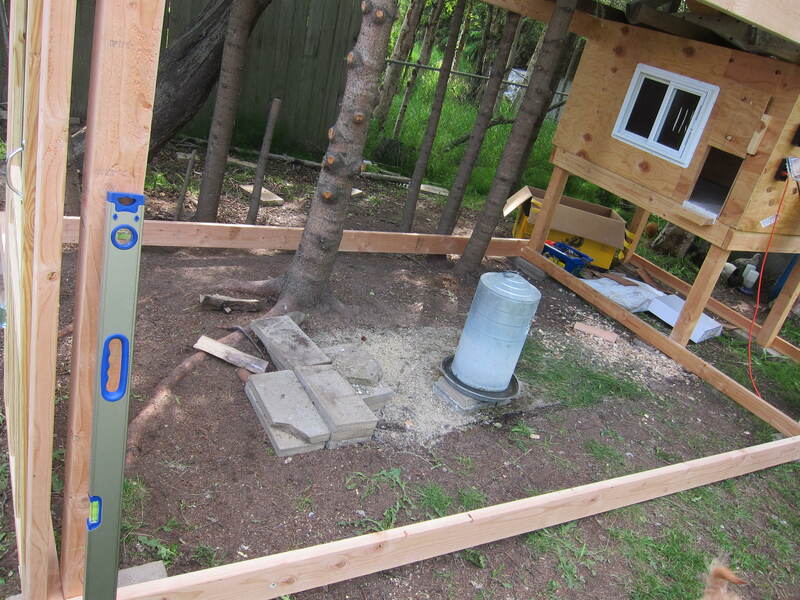 The only step left is cosmetic stuff (paint and coop roof shingles). We added some homey details, like branches for them to perch on. They love it. Mission accomplished. 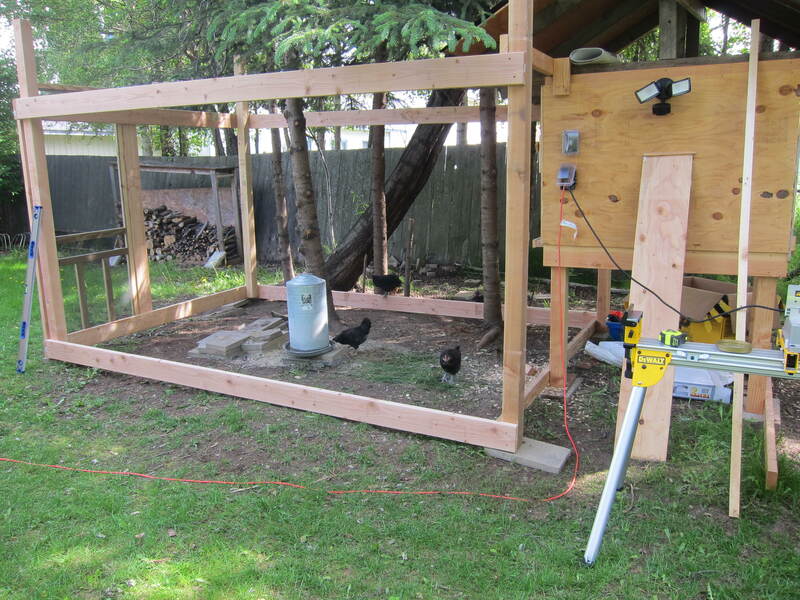 Check out the last part of the coop building saga here: Building a DIY Backyard Chicken Coop – Part 3.